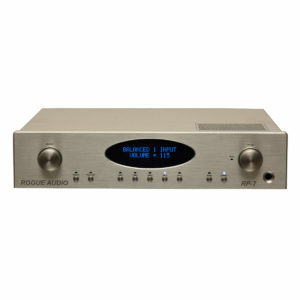 The Rogue Audio RP-5 is th first preamplifier based on the groundbreaking new RP-X platform. Silky smooth yet extraordinarily high tech, the RP-5 sets a new benchmark in performance and functionality. 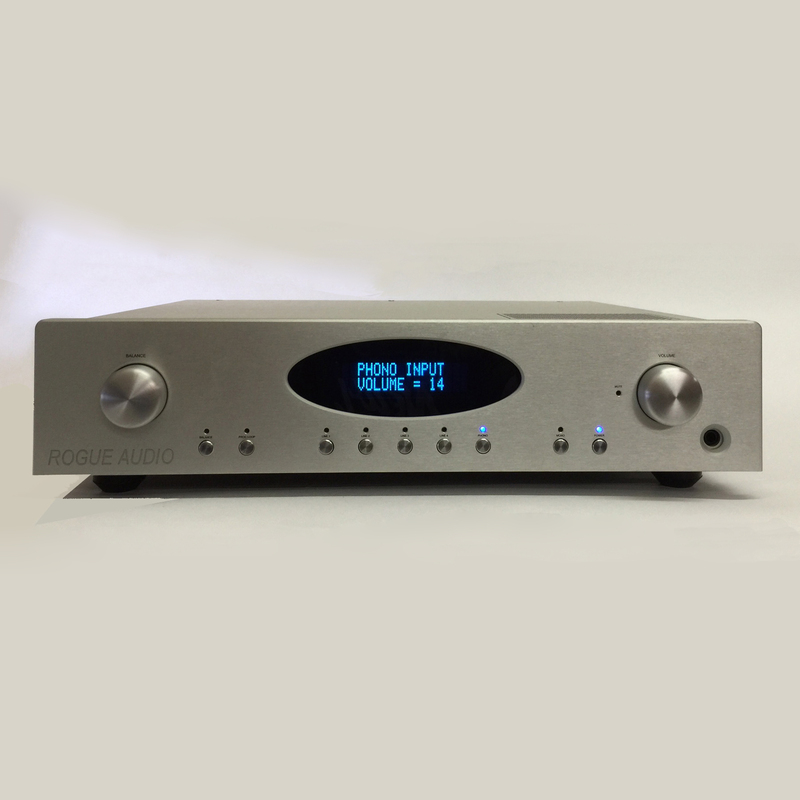 Utilizing four 12AU7 tubes in a mu-follower configuration, the computer optimized circuitry boasts outstanding sonics as well as industry leading specs. 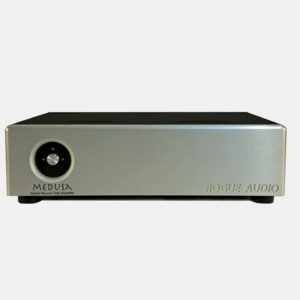 The Rogue Audio RP-5 offers much more than just sonic excellence with numerous features to further enhance your listening experience. 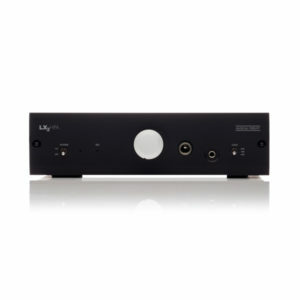 The onboard MM/MC phono has user adjustable gain settings ranging from 40 to 60 dB. 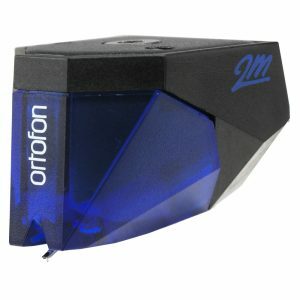 A wide variety of loading options means your favorite cartridge can be configured to sound its very best. A tube based headphone circuit offers smooth and detailed sound for your late night personal audio sessions. 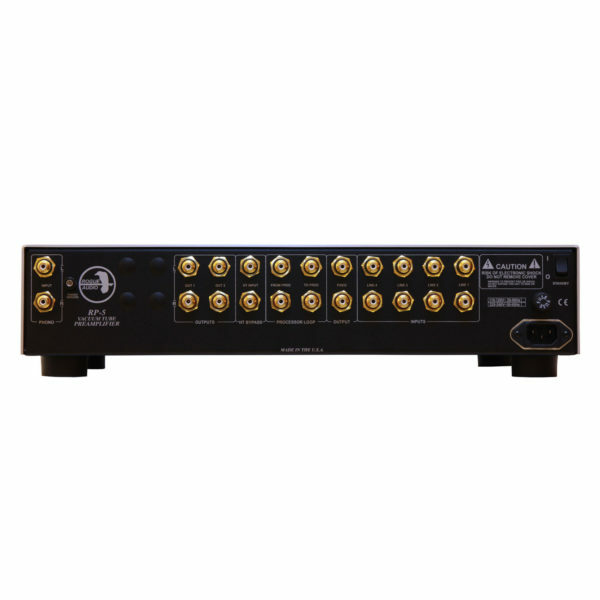 Other features include home theater inputs, a processor loop and mono button. The ten button remote allows you to conveniently access volume, balance, selector, mute, mono and on/off from your listening position.